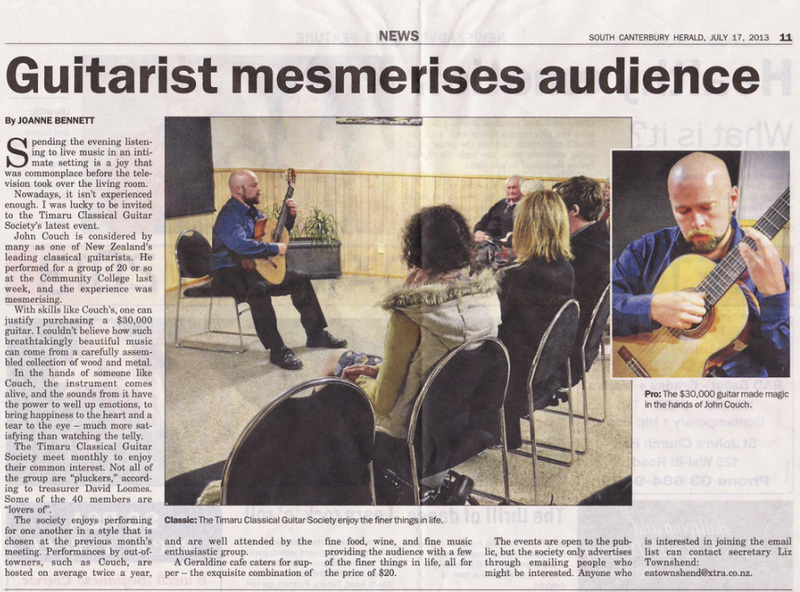 Eva Radish (Upbeat, Radio New Zealand) speaks to all four New Zealand Guitar Quartet members; Jane Curry, John Couch, Christopher Hill, Owen Moriarty at the tail end of the 2015 NZ concert tour, with music by Jack Body, Craig Utting, Clarice Assad and more. 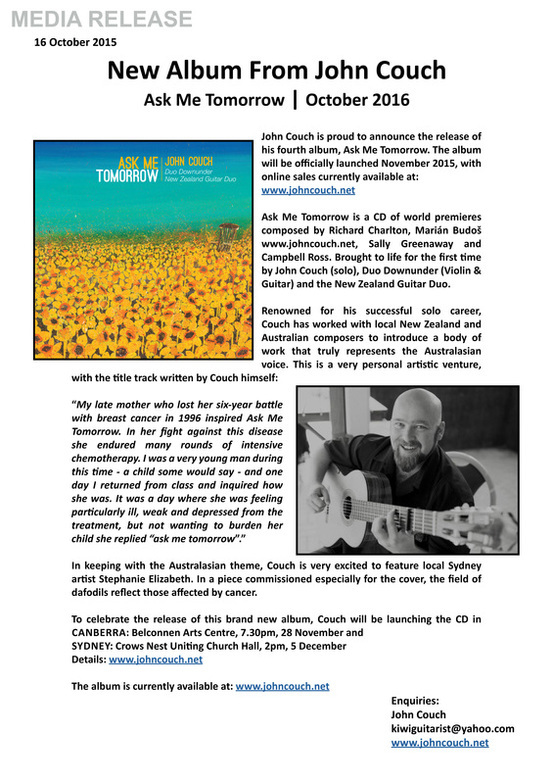 Judith Hickel played the Violin and John Couch played Guitar on ABC Canberra live. "They wowed us a year or so back when they released their last CD and so when we hear they were going to be performing as part of the Multicultural Festival we jumped at the chance to get them back." Listen to their reading of the Astor Piazzolla song Milonga Picaresque.